Multiple innovative programming languages and environments are used nowadays for websites building, but WordPress is the most efficient and, therefore, popular CMS. Dating back to 2003, the system is preferred by 50% of Americans that are internet users (as of 2014). #WordPress is simply the best for #blogs, #startups, various #portals and company #websites. The readers also prefer visiting the sites that are created using the system, because it enables the visitors to deal with the text and the other readers, comment on the topics and initiate discussions. Thus, you can order the goods online, initiate a chat, click a social network link to check the reviews. The system enables creating user-friendly, feature-rich, attractive blogs. 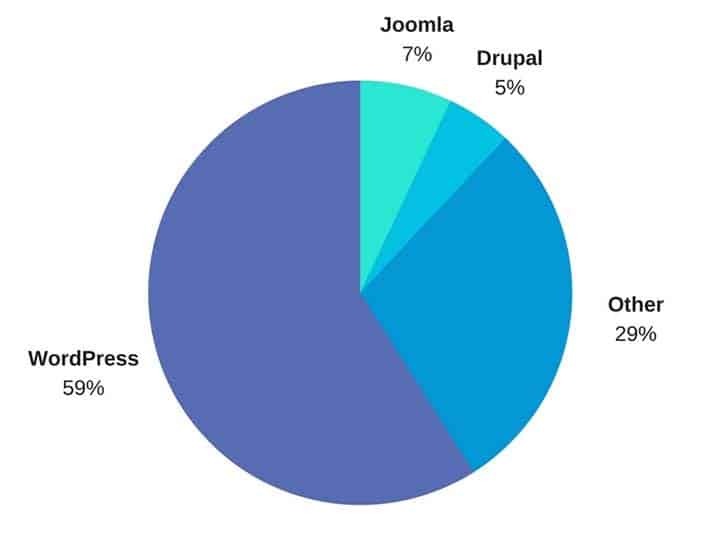 According to the recent W3Tech survey, WordPress’s market share made 59% that makes it the largest CMS. About 75 million sites worldwide are based on the system, making the business owners prosperous and happy. Let’s check the reasons for details. CMS WordPress is a perfectly scalable environment. It means that a webmaster can easily increase the website’s capacity, adding hardware or node intersection points. Thus, a WordPress website is easily developed, growing fast and without complex code writing. These smart pieces of codes can be changed or complemented, building the special WordPress website’s design and functionality. The pages are created easily, fast, and the programmers’ work is cost-efficient. CMS WordPress is suitable for any kind of website, including blogs, news portals, e-shops, corporative pages. For example, it’s the best CMS for landing or one-page sites. Using existing themes, you can create the widest possible functionality that is essential for attracting your loyal and new customers, ensuring the excellent experience for them. Additionally, everyday users: bloggers, writers or e-shop operators can renew the pages easily, adding new, updated content. No programming skills or special education are required so that every person can solve these tasks easily. Starting a business, the owners commonly handle just a limited budget, being able to hire only the limited number of employees. Thus, only about 3-10 people may work in the office initially, handling everything: finances, resources, and sales. Wondering why WordPress is best CMS, we realize that it is cost-efficient and intuitive. There is no need to hire experts and professions for the certain tasks solving. Even troubleshooting can be managed by the common employees, for example, a secretary or a website operator. Meanwhile, a WordPress website is created within a couple of days, and the updates can be made during 10-30 minutes every morning. So, you reach your target audience easily, with only the minimum investments. The traffic will be high, for sure, and you get sales and profit increase shortly. 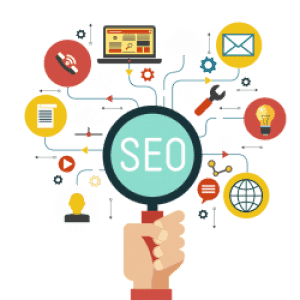 The optimization means that your website is top-rated in the browser or search engine, being listed within the most visited links. It allows you to engage numerous internet users and new customers. Readers will subscribe to your feeds, check the catalogs, find the blogs that were updated recently. CMS WordPress automatically checks the title, description, and keywords, meeting the basic SEO requirements, so, a common company employee or a writer meets them, making the website popular. WordPress websites are efficiently protected against multifarious cyber threats. They include security plugins that guarantee stability and ease of use. Besides, a lot of user-friendly features are provided unconditionally, for free. Thus, WordPress is evidently the best CMS now that is amazingly popular, easy-to-use and maintain. The readers also prefer the system due to the websites’ attractive design and increased functionality. It’s the best system for bloggers and writers now, as any better alternative is not available yet. Published on June 13, 2018 by Emily Watts; modified on June 10, 2018. Filed under: CMS, WordPress. PhD in Pedagogy, MSCS (Master of Science in Computer Science), Linguist, Amateur Web Developer and Flower Grower. Research Papers’ Writer on https://customwriting.com, since September 2012. WordPress is really easy to use as any person without the knowledge of coding can create a website with WordPress. There are thousands of theme to choose from which are mobile and SEO friendly making it easy to rank in the competition. So, more and more people prefer to use WordPress for their website.